The world of robotics has been growing by leaps and bounds over the last few years. As a society, we are now use to seeing the large manufacturing robots that assist with building any number of products, and the warehousing robots that assist with pallets of merchandise for packing and shipping. We're even beginning to accept the notion of self-driving cars and drones delivering our packages and carryout. So, it's only natural that our robotic dreams take us back into cartoon history, when we all wanted our very own helpful robot at home. Well, those dreams can now be a reality. Introducing Kuri, from Mayfield Robotics. 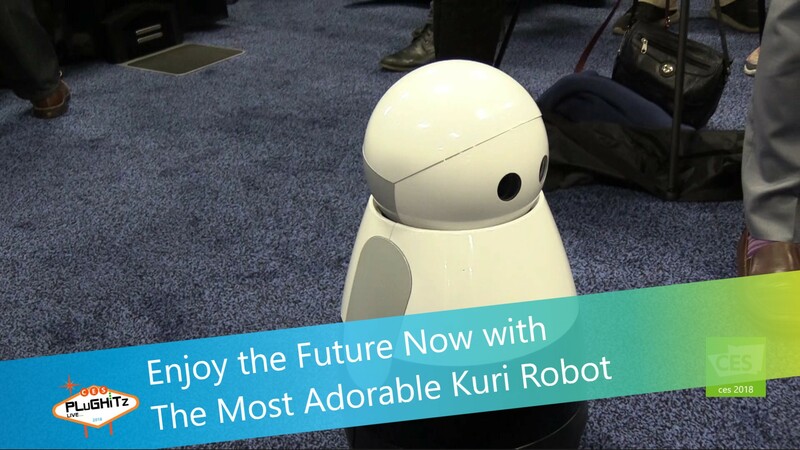 Kuri is an adorable and real live robot that has been designed to make your home smarter and your life a little easier. Not only is Kuri cute with emotive eyes, but he is equipped with sensors to map out and adjust to your home. He has bluetooth speakers on both sides that allow you to listen to music, podcasts and audiobooks. He'll even tell bedtime stories to the kids. There is an integrated camera that captures your life's special moments by taking videos in 5 second intervals. The videos are sent to the mobile app where you can like your favorites, which helps Kuri learn the kind of content you like the best. Also through the app, you will have remote access into your home while you're away, so you can check in on things and make sure that Fido isn't on the couch. And if he is, you can talk to him and tell him to get down, right through the robot. Kuri is a great way to keep connected to your home and life at home. Check out their website where Kuri can be preordered now with a spring delivery for the discounted price of $799. The price will go up to $899 on March 1, 2018.